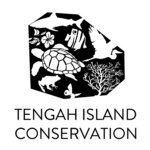 Tengah Island Conservation (TIC) is located on the beautiful island of Pulau Tengah, 16 km off the east coast of peninsula Malaysia in the South China Sea. The island is privately owned by Batu Batu Resort, to whom TIC is funded by. Our conservation and research project aims to study the Green and Hawksbill adult population, increase turtle hatchlings chances of survival through implementing controlled hatcheries; to study and monitor our coral reefs and marine habitats; to do inventory of different terrestrial species; to educate tourists and local communities on the need for turtle and marine conservation in the area; and to develop sustainable relationships with local communities and organizations, encouraging eco-tourism practices.